Andrew Gibbs led Kwinana’s 2nd Grade to a stunning victory as 4th grade threw away their finals chances. Gibbs continued his tremendous form as he ripped Cockburn apart on day two to claim victory. His 7-62 saw Cockburn bowled out for 126 chasing Kwinana’s 140 including a collapse of 4-10. Kwinana had good batting practice in the second innings ending the match on 7-130 with Aiden McCartan unbeaten on 37. 2nd grade sits second on the ladder with one round remaining. 4th Grade came into day two needing a miracle to keep their season alive against Cockburn away from home. 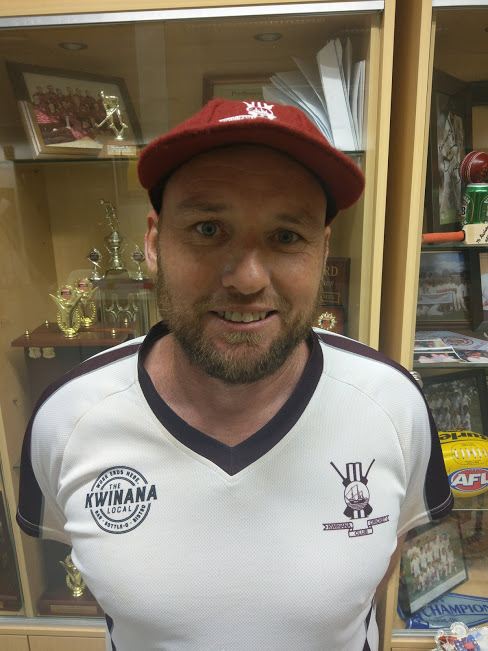 After Kwinana was bowled out for 105, Cockburn resumed play at 0-56 and dashed the visitor’s hopes early, passing the total having lost three wickets. They then set about dismantling the bowlers, amassing 8-284 and making Kwinana bowl 93.2 overs. 4th grade will play table toppers Jandakot Park in the final game of the season. One-Day Bs put in a competitive performance against Armadale at Gwynne Park. After losing an early wicket Paul Webb (23) and Cody Bingham (17) put together a 40 run partnership before an all too familiar collapse saw Kwinana limp to 8-102. Webb’s 4-30 saw Kwinana in with a chance with Armadale 7-89. The tail-enders held their nerve and passed the total before posting 9-129. One-Day Gs have fallen out of the top four with only two games left in the season. A poor effort all round saw Kwinana bowled out for 119 after winning the toss and batting before Phoenix plundered the bowlers making 5-173. They sit just one game behind Perth Tamil in fifth.